The Gentry Grooming Co. has two types of shave creams, one of which I’ve already reviewed earlier this year (see here). Their 2nd shave cream – The 3D Shave, is a 3-in-1 shave cream that comes equipped to be used as a pre-shave, shave cream and a moisturizer. 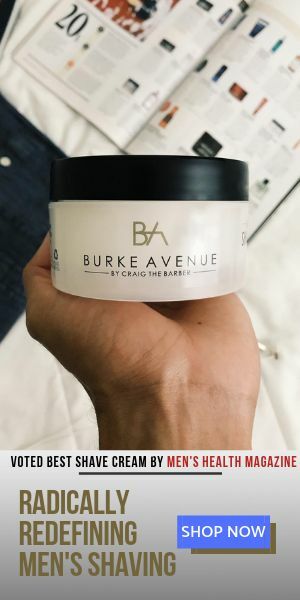 It’s performance as a shave cream, is certainly on the top of the list of lotion-based (non-lather) shave creams on the market. And with their Black Pepper & Mint signature ingredients, it keeps it interesting, in a good way! The moisturizing component of this cream works very well in calming the skin with the aid of jojoba oil. My only hang-up was that the fragrance lasted a bit too long. The fact that I wear a mustache added to the lingering scent and made the amazing combo of black pepper & mint no longer appealing. If very careful, you can avert this issue by avoiding your lip hair during the application process if the fragrance bothers you. Overall, it came through in doing what it said it would, and is a great choice as a shave cream.